but struggling with the back support.. Problem is that there really is not any space to even put your hands in let alone mark you spot. But my basic question: which is preferred and why? a. 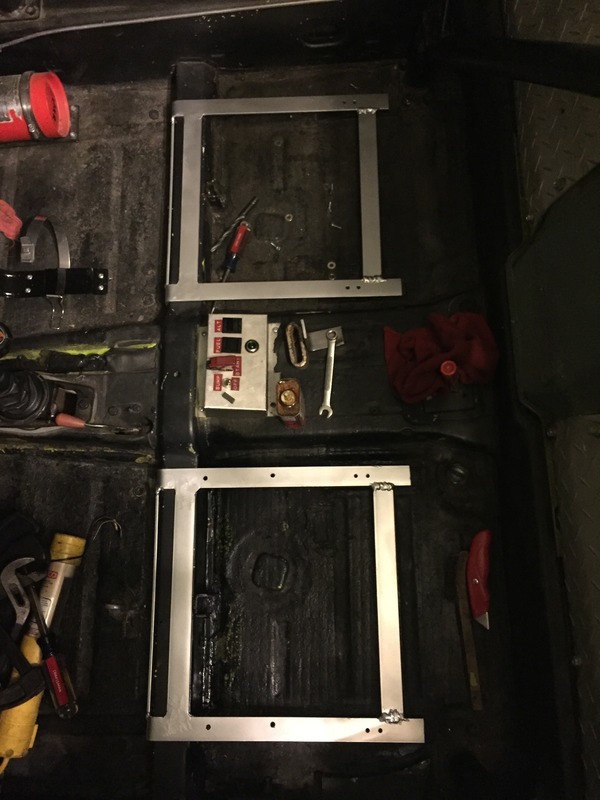 Should belt and seat back mount to firewall. b. Should belt and seat back mount to roll bar ( i prefer this but I cannot figure a way to do this given the space available.). c. Should belt to fire wall and seat back mount to roll bar. d. Should belt to roll bar and seat back mount to firewall. Please note that I have an eight paint roll cage. If you're racing you'll need to find out the rules about seat support. I'm doing DE events only & don't have the seat back supported, just the base. Belts are clipped to eye bolts through bolted to reinforcing plates welded on the back side of the firewall...so the belts hold me and the seat in place I guess. - rules vary per organization. However, I should note something that I feel is important. Unless the seat is specifically designed to be stand-alone with good side-mounts, i.e. 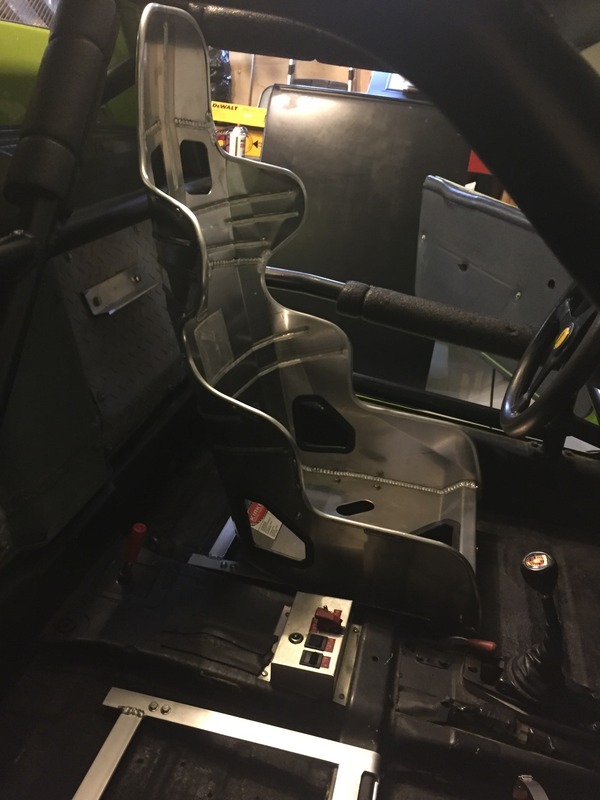 most FIA-rated carbon seats, a proper seat back support should really be a consideration. Belts were designed to restrain the driver, but not the movement of a seat and driver combined. On an AX car, no biggie, but on the track, the speeds and forces are much, much greater in the event of an accident. I do believe that Kirkey specifically recommends a seatback brace with their seats as well. I welded a plate on the cage behind my Kirkey...together with the base mounted, it is the strongest installation I have ever felt. My belts are installed around the cage too. Definitely find out what the minimum requirements are but if it is allowed - pin the seat high (somehow). PS: Nice brace Brant...its been awhile - I hope you are well. I would also agree to start with the rule book for the racing group or groups that you intend to run with. It will save you lots of grief when you go thru tech inspection for the first time. The rule books usually have some guidelines for belt attachment that can be helpful. Simpson safety equipment and Schroth equipment have some good guidelines on their site for belt location, attachment and angles. I have helped out in tech inspection in the past and it sometimes pays to do some research early on to save your self some issues at tech later. PS: Take a serious look at a HANS device or equivalent too! I ended up mounting the belts per the bet manufacturer. Mine are hard mounted. Sliders are generally not legal to race.